From hen party accessories to hair, make up and gifts, the cost of being a bridesmaid soon racks up - but how much are we actually spending to be part of the bridal party on our best mates' big days? Singer Pixie Lott recently revealed that she plans to have eighteen bridesmaids for her wedding - but while some ladies LIVE to be anointed as a 'chosen one' for their mate's big day, for others it means taking a deep breath and plunging deep into the savings while lavish hen parties are planned and the unexpected costs rack up. From the big ticket items like the hen party and wedding (and/or engagement!) 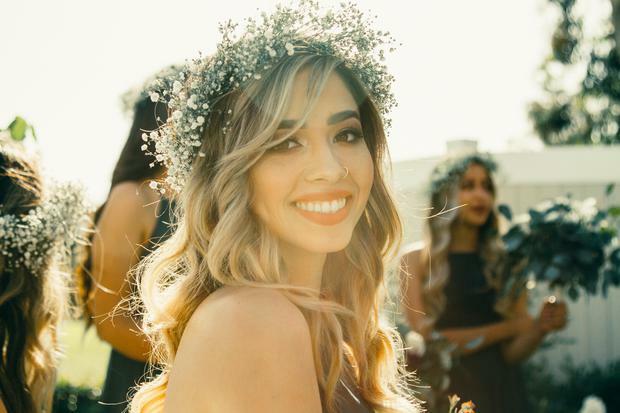 gifts to the smaller, but significant extra costs around bridal brunches and fittings - being a bridesmaid can sometimes mean digging a little deeper than a regular wedding guest will well before the big day. US wedding website weddingswire last year announced that the grand ol' cost of being a bridesmaid was coming in at just over €1000 ($1,200) however, American bridesmaids are expected to pay for their dress, hair and make up for the day so perhaps understandably the average costs can run into the upper hundreds. But how much are we spending for the honour in Ireland? Not as much as our Stateside pals one would imagine - for instance, most bridesmaids will have their dress (and alterations), hair and make up paid for on the day, and often their accommodation will be covered for the duration of the celebrations. So taking into account the hen party, wedding day and day after costs, as well as all the miscellaneous bits and bobs around wedding gifts, hen party decor, drinks and props, transport to fittings (and of course those little sneaky snifters after a successful shopping experience! ), random bridal brunches, and various wedding items to help the bride out, we want to know what Irish bridesmaids are currently spending on wedding celebrations. How much does it really cost to be a bridesmaid?